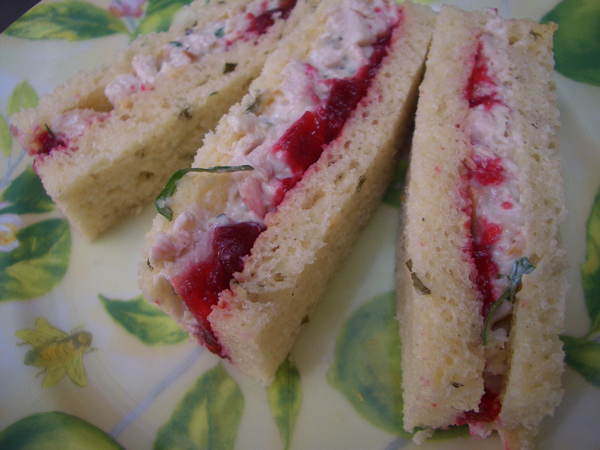 Here’s a simple sandwich to help deal with all the leftovers in the refrigerator. This recipe assumes there’s an abundance of cranberry sauce lurking somewhere near the turkey, but if you feel like making your own, an easy recipe can be found here. 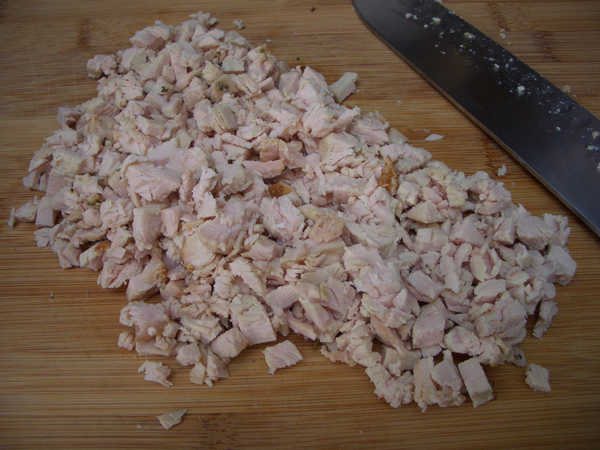 Chop the turkey, making sure to remove any tough bits of gristle or fat. 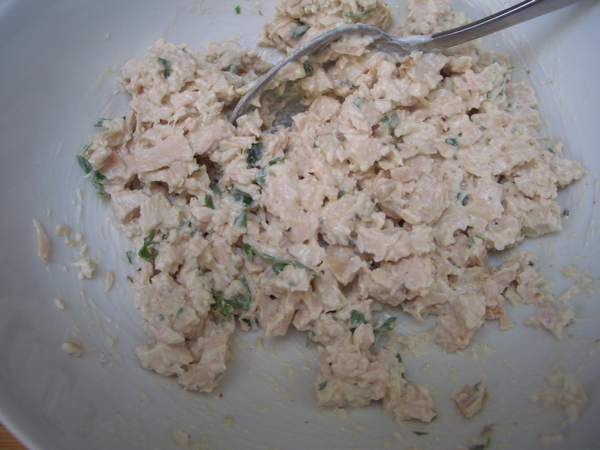 Add mayonnaise to taste, and a few pinches of chopped parsley for color. Taste before adding salt and pepper as you might not need any. Spread the Dijon mustard on both sides of the bread. 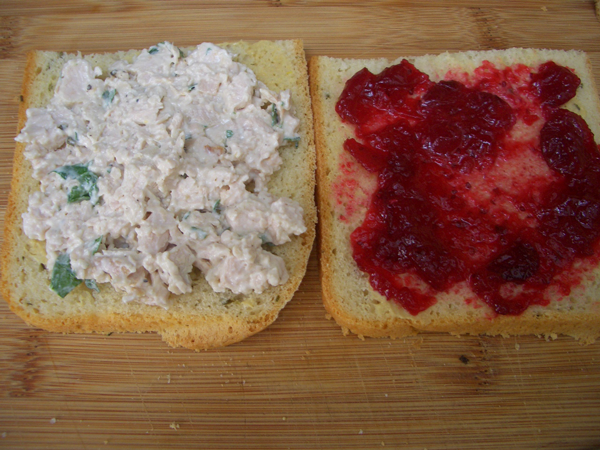 Add a layer of turkey salad to one side of the bread and a layer of cranberry to the other. 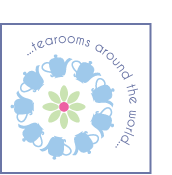 Press the two halves together, and press lightly to help everything adhere. 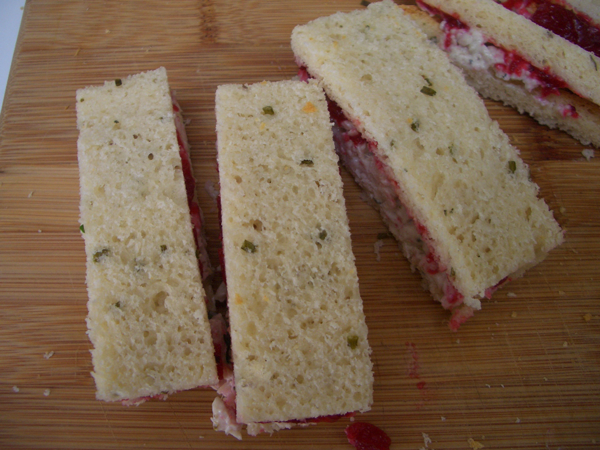 Cut the crusts off the bread, and cut the sandwiches into three rectangles. If you’re making the sandwiches ahead of time, cover with damp paper towel and keep in an airtight container in the refrigerator until you’re ready to serve.